Not too long ago, Oh wait...was it just last month that the Mirror 5 of OPPO Philippines was launched? 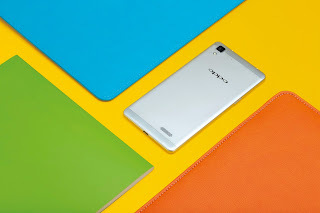 And now here's another great big thing from OPPO? continuing to bring more in the table with the launch of the R7 Series that comes in two variations, the R7 Lite, 5”-screened and the R7 Plus, more powerful 6”-screened. 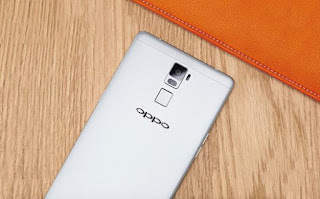 OPPO is a global electronics and technology service provider that provides customers with the latest and most exquisite electronic devices and mobile Internet service. OPPO delivers customers with the most delightful electronic experience that is full of surprises, through meticulous designs and smart technology. 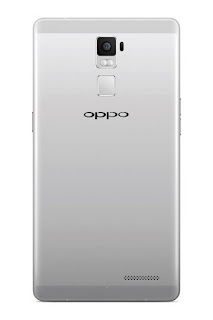 For more information, please visit global.oppo.com. The OPPO R7 Plus offers a plethora of unique features that enhances the mobile experience of its users. The unit employs a magnesium-aluminum unibody design. Inside is 3GB of RAM and the Qualcomm MSM8939 1.5Ghz processor, which promises robust performance with minimal power use. The R7 Plus is backed by a 4100mAH inbuilt lithium-polymer battery and is supported by OPPO’s VOOC Flash Charge, ensuring longevity with regards to its battery life. It also features a touch-type fingerprint sensor on its back that can store up to five fingerprints that corresponds to various commands, such as screen unlock and software encryption. The R7 Plus’ camera is equipped with a laser autofocus system that focuses precisely on a subject in under 0.3 seconds. As you prepare to snap a photograph, the laser will intuitively scan the scene or subject and find the perfect focal point, which enables users to capture fast moving objects and sceneries.The main camera is coupled with an OPPO-first RGBW sensor which adds a white pixel to the usual RGB layout to substantially enhance photos under low-light conditions with a 32% higher light sensitivity and 78% noise reduction, delivering a more powerful performance in indoor low-light and dark conditions. With its sophisticated full metal body, the OPPO R7 Lite is for users who are looking for a simple, yet powerful phone. With 2GB of RAM and the Qualcomm 615 Octa-Core 1.3Ghz, the device runs smoothly on OPPO’s latest OS, the ColorOS 2.1 (based on Android 5.1). The R7 Lite’s Security Center ensures stable performance with its data monitoring and memory clean up. Taking high-quality photos is a breeze with its 13MP Schneider-verified rear camera with PDAF auto focus system, capable of taking 50MP-quality photos with its Ultra-HD mode. Like its older brother, the R7 Plus, the R7 Lite is also equipped with the flash shot technology which enables crisp and clear images of fast moving objects. Selfies look natural and vibrant with its 8MP front camera and beautify options. 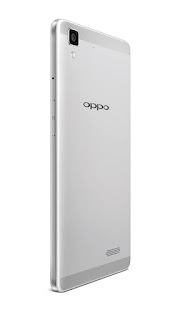 The OPPO R7 Series will be available in all retail and OPPO stores nationwide with the R7 Lite at 13,990.00 PHP and the R7 Plus at 21,990.000 PHP. The phones will also be availablethroughLazada, the country’s biggest online store.